One behemoth set to go; can Harbor Garage be next? 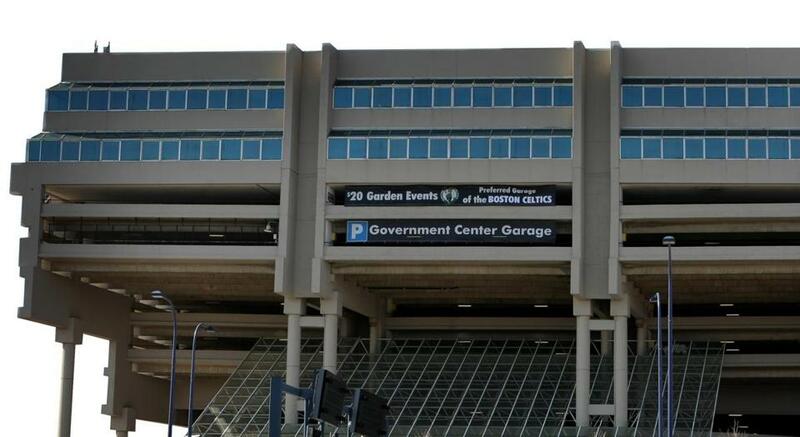 A large portion of the Government Center Garage will be transformed. The Government Center Garage has darkened a key corner of downtown Boston for a generation. The 5-acre concrete behemoth spans Congress Street where Haymarket meets the West End. It severs the Bulfinch Triangle from Government Center, and keeps the North End at arm’s distance from Beacon Hill. The garage is an embarrassing throwback to a period in Boston’s history when city planners elevated architectural objects — government buildings, parking garages, empty plazas, or highways — over people. Soon, the garage will meet a well-deserved end. The Government Center Garage’s owners, led by the HYM Investment Group, secured permits last week to raze a large portion of the garage. HYM will be removing much of the structure, and wrapping the rest of it with new, active buildings. Tearing down the Government Center Garage means burying a chunk of the urban renewal era. The Government Center complex is the latest in a long string of parking structures that have fallen as Boston has evolved into a more vibrant, more urban city. If the object is building a more welcoming Boston, and not simply building for the sake of building, this string of garage demolition projects can’t end with Government Center. Everything that makes the Government Center Garage worthy of the wrecking ball cries out for a stick of dynamite down the street, at the Harbor Garage. The two parking structures rose in the same era; the impending demise of one is a reminder that they should be falling in tandem. Boston has a strong history of tearing down parking garages that hold the city back. International Place, 1 Lincoln Street, 75 State Street, 500 Boylston Street, and Post Office Square Park were all once unsightly garages, but they’ve become integral parts of the city’s dense core. The redevelopment of the Government Center Garage hasn’t been an easy proposition. The development project has been on the boards for several years, through two lead developers and several redevelopment schemes. Stubborn math had kept the wrecking ball at bay. The 2,300-car garage is as valuable as it is ugly. No developer could cut the size of the garage in half, as HYM has proposed, without building something very valuable in place of those lost parking spots. The six-building, $2.2 billion garage redevelopment project has undeniable aesthetic benefits for the city. It will reconnect neighborhoods the garage has physically separated. It will bring shoppers, homeowners, office workers, and tourists to a section of the Rose Kennedy Greenway that’s now overshadowed by a lifeless parking structure. It will bring good urbanism to a pocket of Boston devastated by urban renewal bulldozers. These benefits resonate far beyond the garage’s property line. The HYM group is only moving ahead, though, because there’s good math behind this good urbanism, because HYM is building enough residential and commercial space to make up for the income from the parking spots it’s demolishing. It’s this math — paying for the benefits of parking-garage taming with dense new development above — that has bedeviled Don Chiofaro down the street, at the Harbor Garage. The Big Dig and Boston Harbor cleanup left both the Government Center Garage and the Harbor Garage sitting in far more appealing neighborhoods than when they were built. Both abut the greenway; the Harbor Garage, which sits between the greenway and the waterfront, occupies what should be the best building site in Boston. But while city planners have granted HYM significant leeway to build tall towers atop the Government Center Garage, they’ve been far less charitable towards Chiofaro, whose smaller garage site is even more height-dependent. Sticking to this hard line at Chiofaro’s site limits the upside of what should be a transformational garage redevelopment up the street. Boston can’t show a modern face when it still has one foot stuck in the 1960s.